approx. 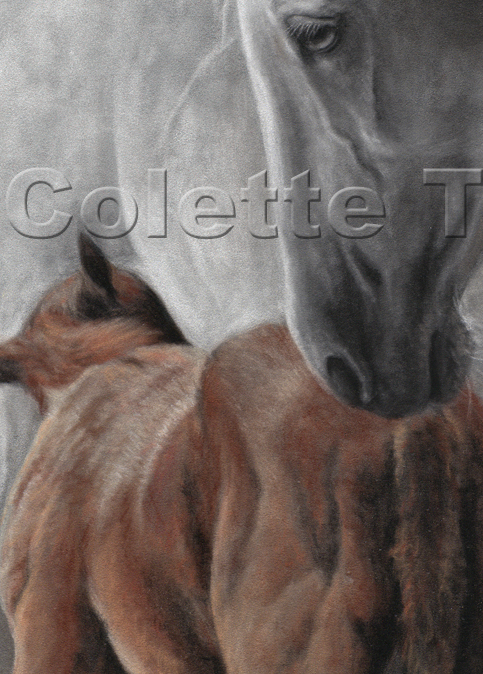 size: 16" x 12"
A tender moment depicting the strong maternal bond that exist in all mammalian species. 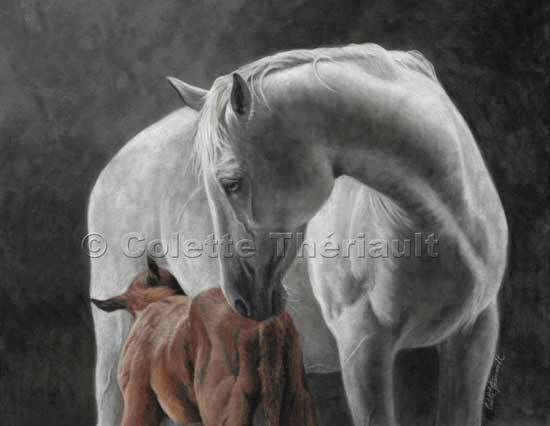 This new mother takes advantage of a calm moment to get to know her foal. Although not certain of the breed of the mare, she may be an Appaloosa cross. 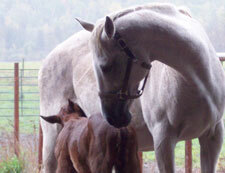 The foal was sired by a full blood Percheron.